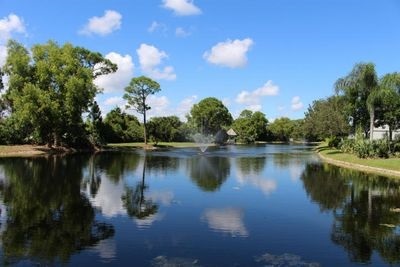 8323 SE Croft Circle N-4, Hobe Sound, FL 33455 Was Sold By Top Agents In Martin County. Treu Group Real Estate helped the seller get this Pinecroft condo up to the closing table. The condo was sold at $111,000 which is 97% of the seller's original listing price. We also saved the customer so much time since it was sold just 16 days after listing it on the market. This is but another proof of how effective our approaches and tools are. Selling? We are always dedicated to help our clients in every step they make in home selling. Just like the owner of this well-cared condo, we can also help you achieve your selling goals.